In the top ten performance standings Rocket finished #6 over all other dogs on the NSTRA circuit. He was #2 GSP in the country, second only to Jesse his half brother. 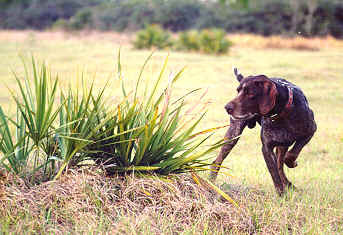 Rocket placed in the final four, of the 2000 Quail Invitational in LakeWales, Florida and was the Michigan region High Point Dog for the 1999/2000 - 2000/2001 NSTRA season. No matter what the conditions Rocket places consistantly when he is trialed. Rocket has proven to be one of our best wild bird hunters. This is "Crosswinds Action Annie1X CH"
She is out of one of Rockets littermates and is proving to be a great dog. Annie was #2 State of Michigan High Point Dog second to Rocket for the 2000/2001 NSTRA season. 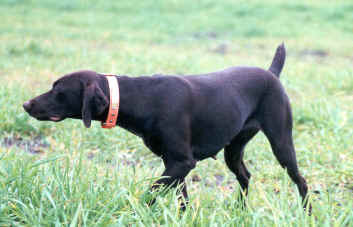 Annie is the 2001/2002 Michigan High Point Dog. Fritz our up and coming trainee. Fritz is a two and a half year old male out of Harrisons Blue Jesse and Star's Lacy Baby. 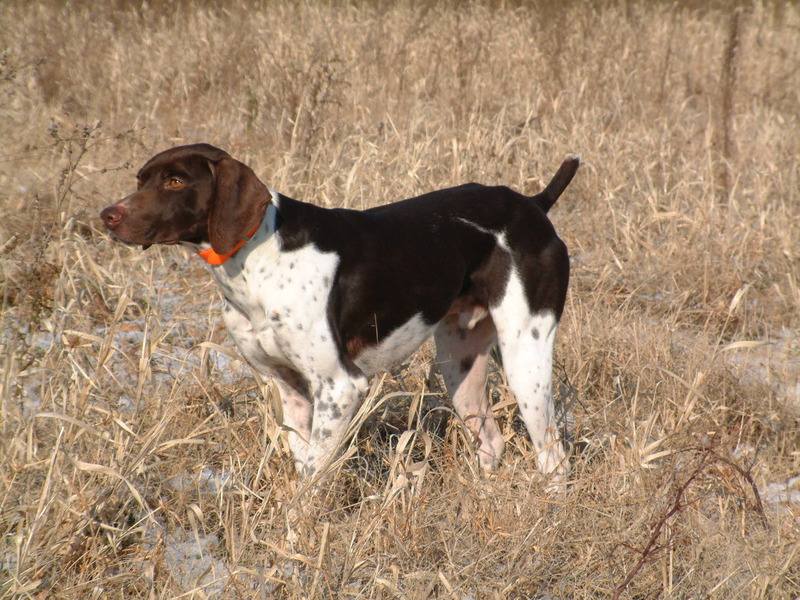 Fritz is a double bred Dixieland Rusty breeding. Fritz began his trial career in May 2002. So far Fritz has accumulated 14 points in seven months. Fritz has added to his collar three wins out of six placements on the NSTRA circuit. This dog shows more potential than any shorthair I have worked with to date. He is proving his worth.